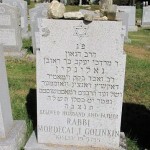 Prior to his arrive to the United States Rabbi Mordecai Yaakov Golinkin server various communities in Eastern Europe, among them Ryzhany (a suburb of Zhitomir, Ukraine) and Dokshitz (Belarus). 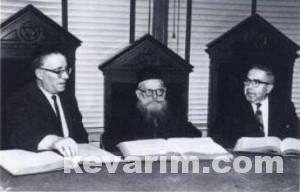 During the 1930’s he was in Danzig and managed to escape as the Nazi’s were closing that city. 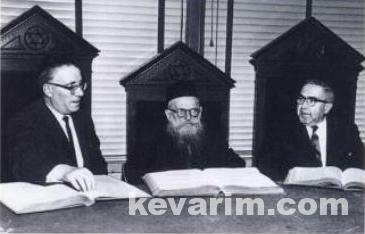 Upon his arrival to these shores he settled in Worcester, MA where he was soon considered the cities chief rabbi. 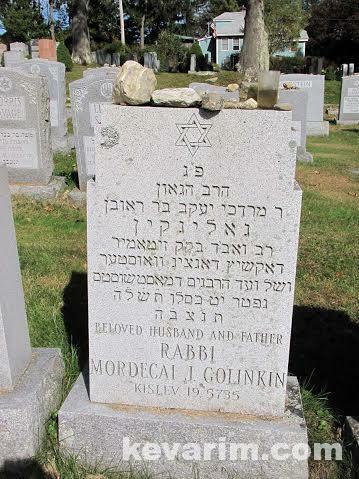 His son was a conservative Rabbi and activist Noah Golinkin died in 2003 at age of 89 he lived in Columbia, Maryland.